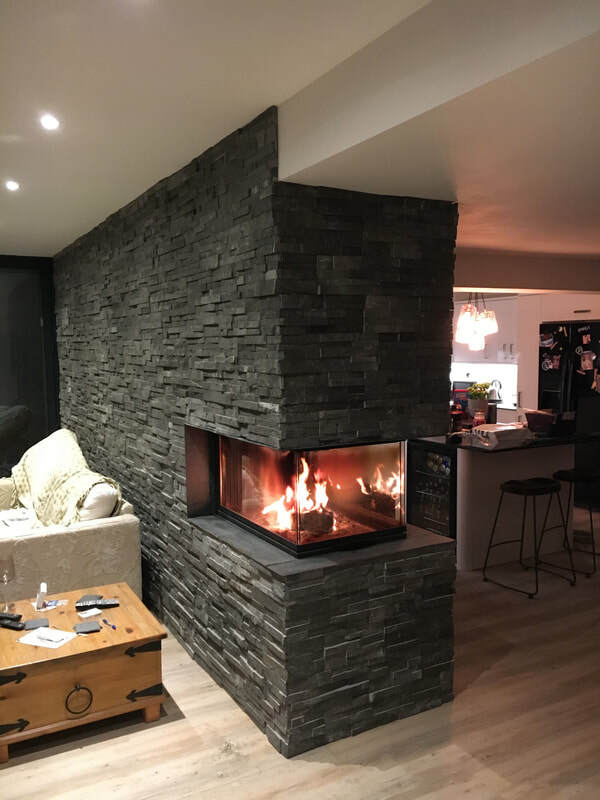 Possessing all the advantages and features of our renowned standard XLS system, the Charcoal XLV rock panel range features larger individual pieces of natural stone, giving a chunkier, more robust looking stone cladding panel. Each Charcoal rock panel comprises between 5 and 8 pieces and interlocks for seamless joins. Also available in Ochre Blend, Sahara, Ivory and White. Stone Cladding Panel size is the same as XLS rock panel range.